The second largest order of mammals, Chiroptera comprises more than one thousand species of bats. Because of their mobility, bats are often the only native mammals on isolated oceanic islands, where more than half of all bat species live. These island bats represent an evolutionarily distinctive and ecologically significant part of the earth’s biological diversity. Island Bats is the first book to focus solely on the evolution, ecology, and conservation of bats living in the world’s island ecosystems. 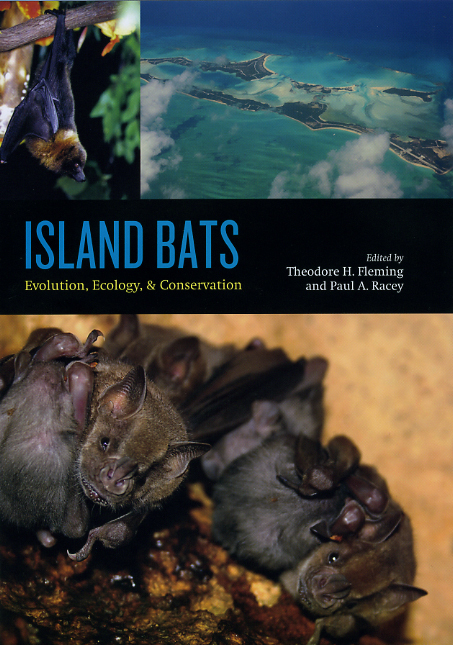 Among other topics, the contributors to this volume examine how the earth’s history has affected the evolution of island bats, investigate how bat populations are affected by volcanic eruptions and hurricanes, and explore the threat of extinction from human disturbance. Geographically diverse, the volume includes studies of the islands of the Caribbean, the Western Indian Ocean, Micronesia, Indonesia, the Philippines, and New Zealand. With its wealth of information from long-term studies, Island Bats provides timely and valuable information about how this fauna has evolved and how it can be conserved.